October is the time of year when, to quote a great man, “Creatures crawl in search of blood, to terrorize y’awlls neighborhood.” Much is made about the exploits of those creatures – vampires, mummies, witches, and zombies. But, we never really get to know the guy (or gal) behind the ghoul. Thankfully, AOL News recently published Behind the Screams: The Weird World of Haunted House Operators – which strips back the masks and gives a good look at exactly what type of person devotes themselves to scaring you silly. "This year we put a guy in a bunny suit with an axe," said Simmons. "It was inspired by furries. Their national convention is here in Pittsburgh every summer, and we felt that what really scares people is contrast, that incongruity. 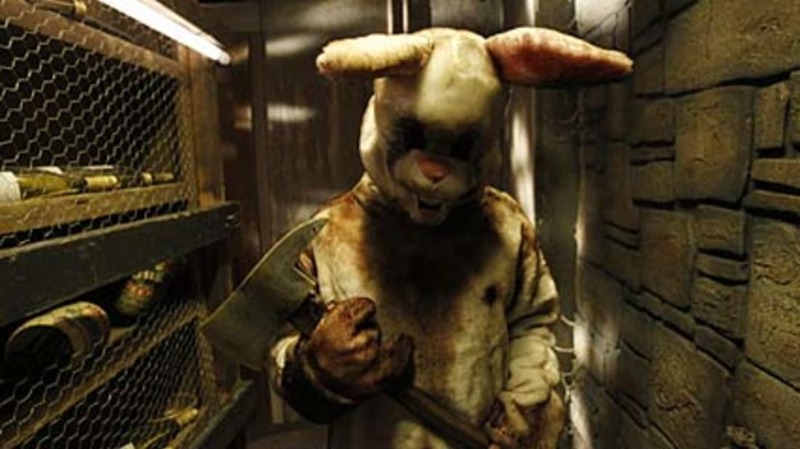 You see a guy in a bunny suit in the basement, that's just wrong." So, I ask: What's the one thing that always sends a shiver up your spine? We promise not to use this information against you.